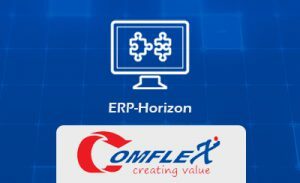 Horizon is an ERP Software designed for both Large as well as small and medium business enterprises. The system is an outcome of functional inputs from ERP experts with vast experience and also a pool of technical experts. The system encompasses some of the global best practices seamlessly synchronized with typical SME processes. Standard modules like Finance & Accounts, Fixed Assets, Sales & Distribution, Production Planning & Control, Quality Management, Product Costing, Cost-Center Accounting, Materials Management & Inventory Control, etc. are incorporated in the package. 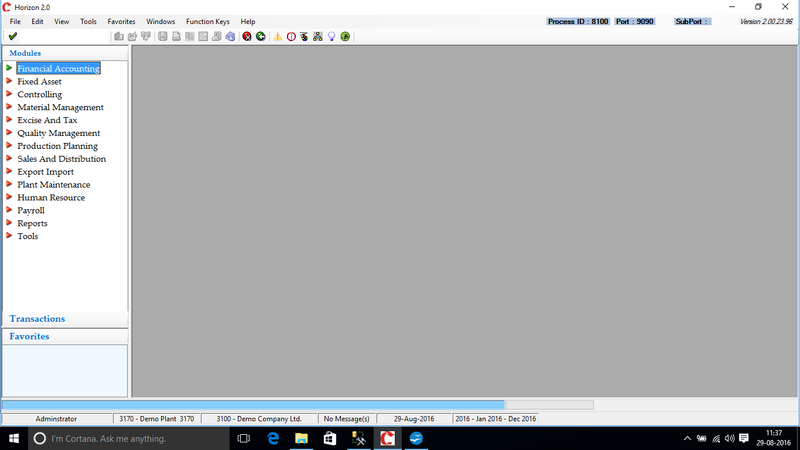 User Level Screen settings like Change of Color, Caption, Language, Font etc. 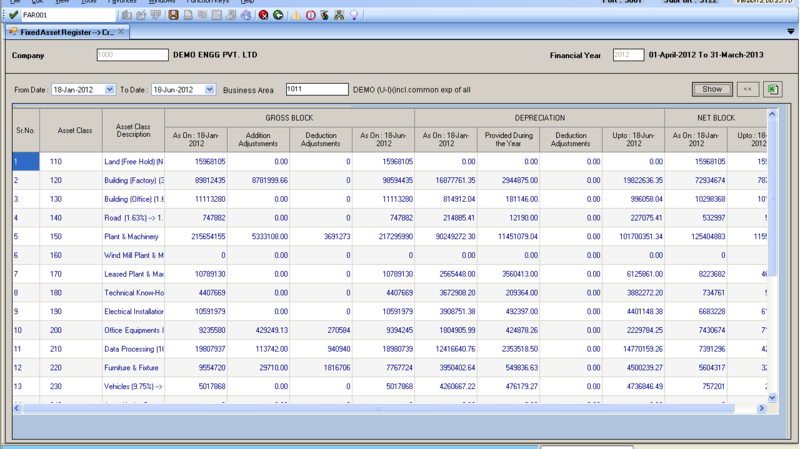 Dynamic Reports: You can generate immediate run-time customized reports (which can then be exported to MS-Excel). 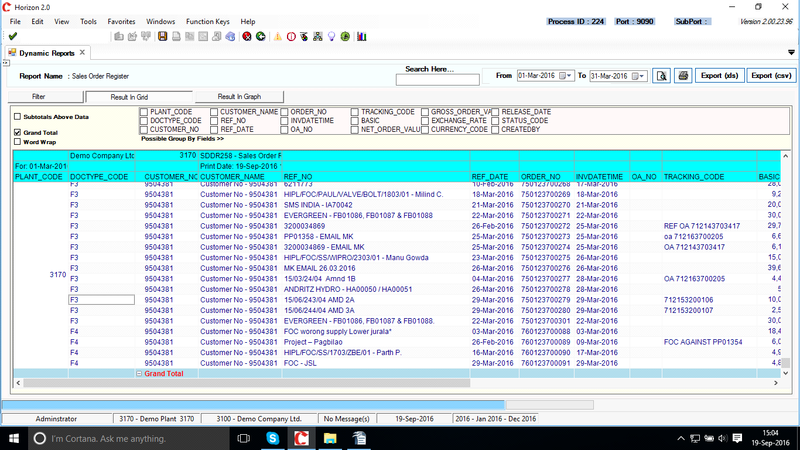 You can define the criteria, grouping, fields to be displayed and their order. 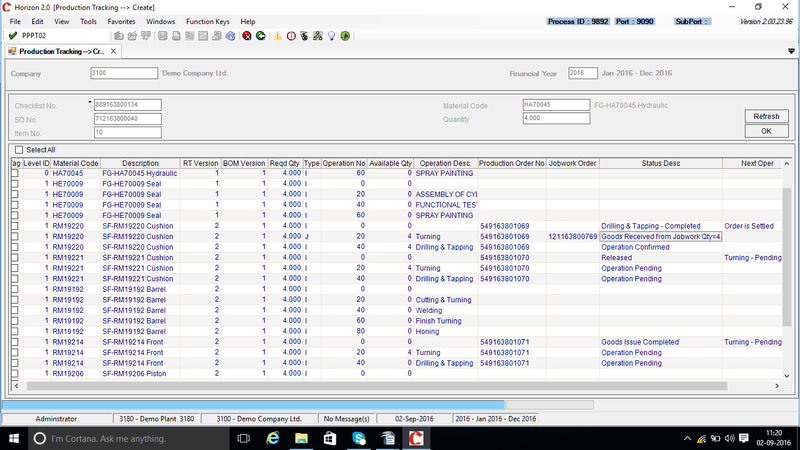 Order Visibility across Inventory, Manufacturing & Shipping. 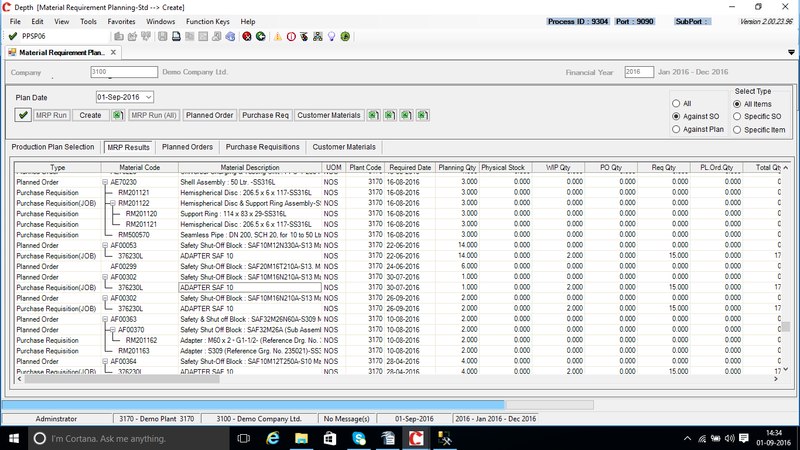 Stock Availability check during order booking. 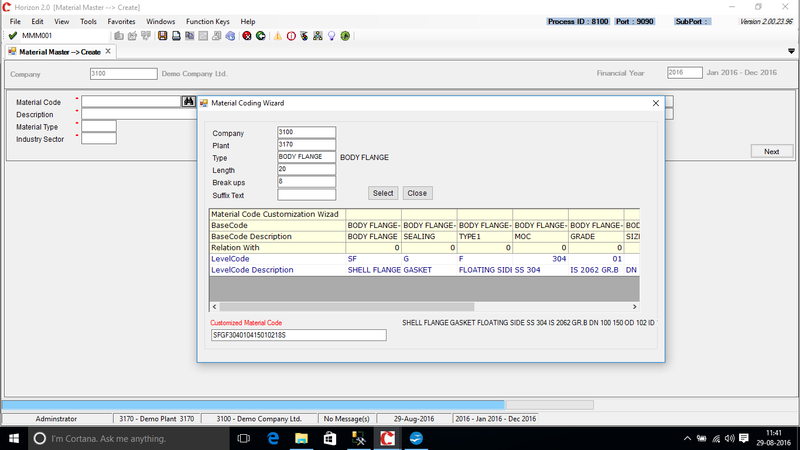 Inspection Plan, Result Recording & Usage Decisions. 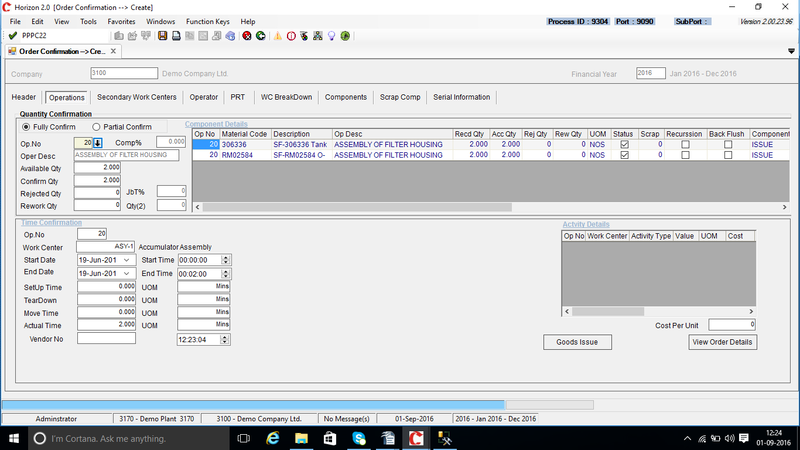 Production accountability, Efficiency, Utilization, Idle time. Case Studies of some of our ERP Implementations. Statutory requirements for Income Tax, Service Tax, Excise etc. Our Vertical Functional experts shall initially do a detailed As-Is Study and note down the requirements and scenarios in detail. We shall also demonstrate our Vertical Template with all required configurations for particular Industry so that we can get better input from the Key Users. The As-Is & To-Be requirements shall be documented and the same circulated for sign-offs. The Hardware sizing Document and Base Master Templates shall be given to the Client Project Manager. This phase shall be handled at our Development Centre. The ERP Template shall be further configured and required developments done and reports set as per requirements noted in the Study. The same shall be tested with dummy Master data. 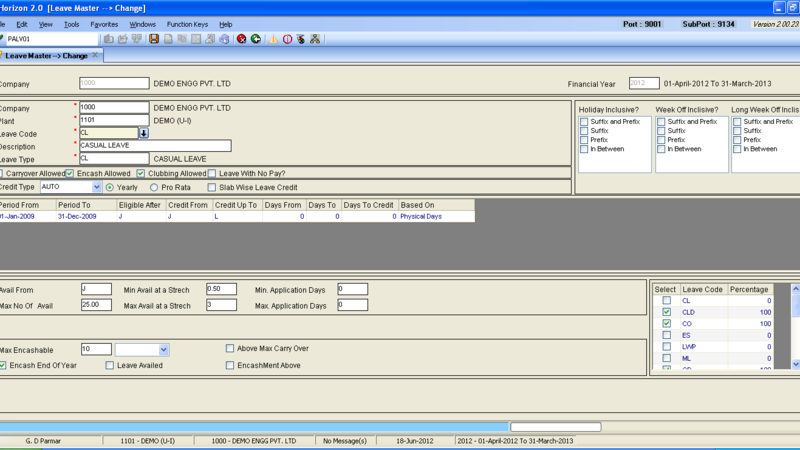 The configured Customer Template shall be installed on demo server at client end. The template shall be demonstrated to the Key Users with sample data for all scenarios and processes as listed during the study. Key Users shall approve and sign-off the realization document and confirm that system has met the requirements. 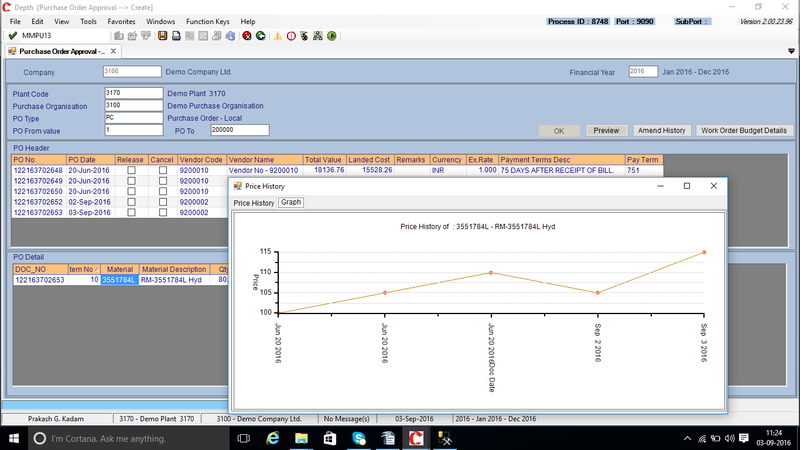 The Key Users shall do the Module and integration testing of ERP. Masters that have been given by the Key users in templates shall be uploaded. Testing will happen on the actual masters given. Once testing is over, Key users with support of CTPL team shall do the end user training. 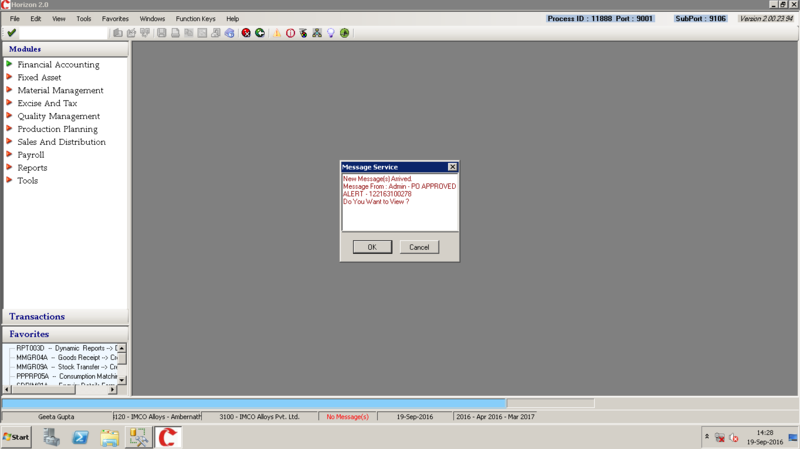 All required Server and Client Application Installations shall be done. Open Items (GL Balances, Outstanding, Stock) etc shall be uploaded. All required Pre-Live Check list activities shall be done. All required Document outputs shall be checked. On predefined Live Date the system shall be considered to have gone live. 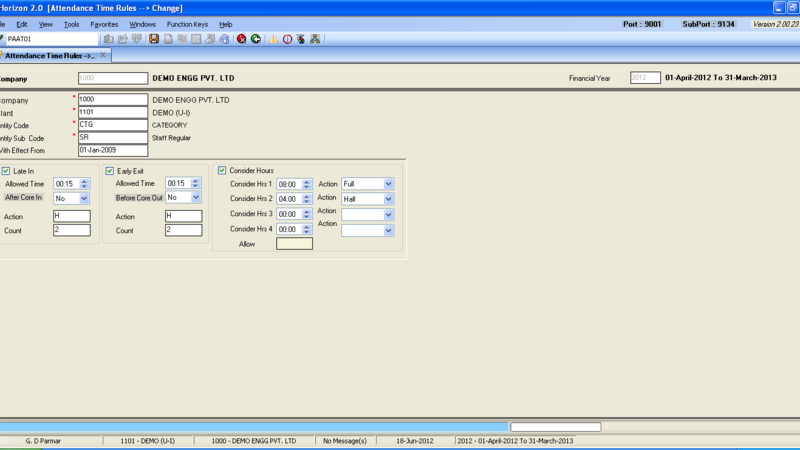 All transactions shall happen through the ERP from that given date. CTPL team shall ensure minimum down time for the period. CTPL team shall help the client to establish an internal help desk for ERP and also setup the Support framework for handling remote support later on.